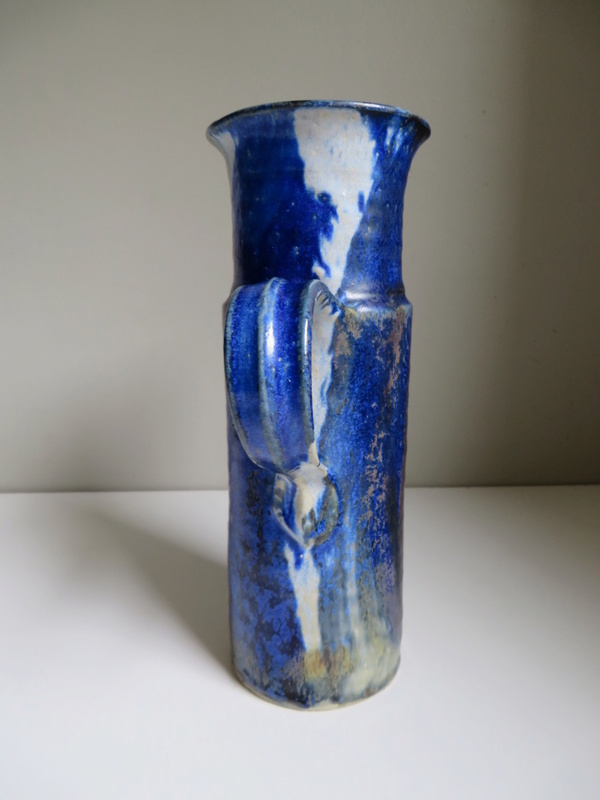 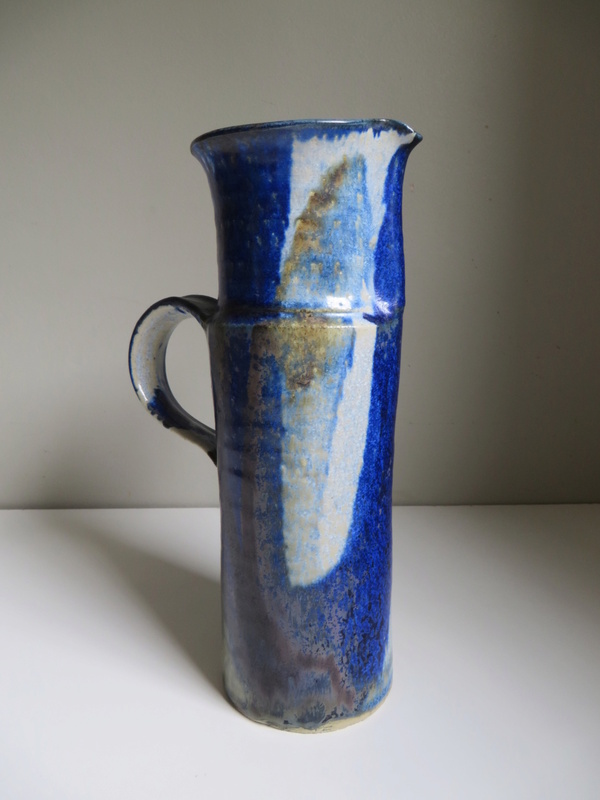 Tall jug with blue flambe like glaze - hand signed - hard to read! 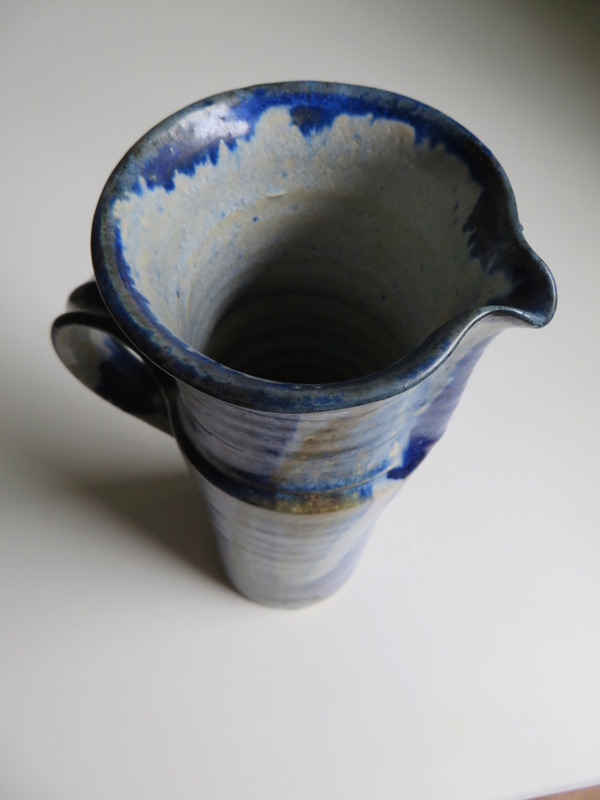 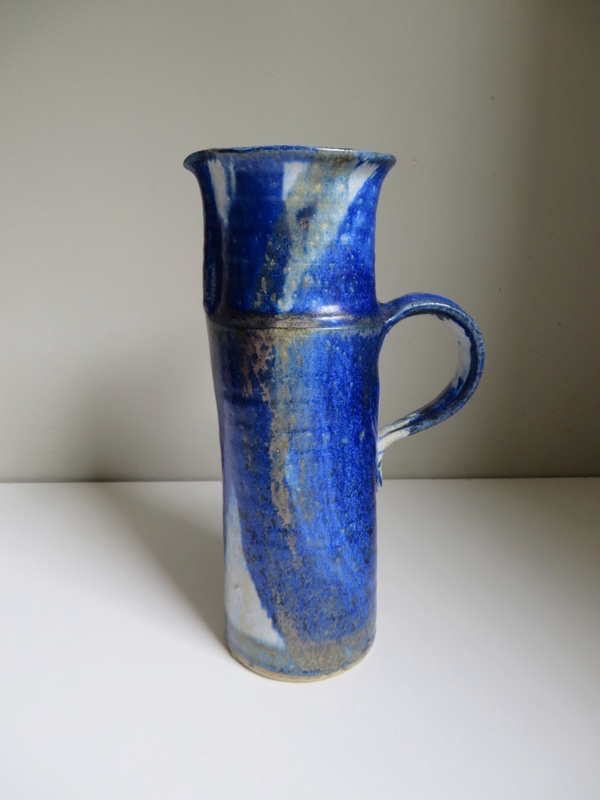 Tall (23cm) waisted jug with cobalt blue, white and ochre poured glaze. 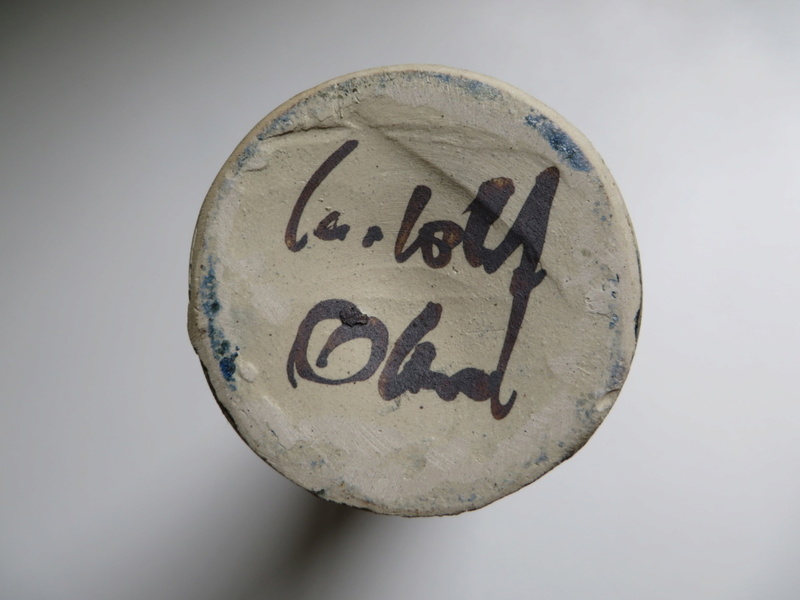 Signature mark to base - thought could be scandinavian?